Please be mindful of the reviews of this book - check that they refer to some of the data and evidence contained herein. The weather is something which affects all of us, every day of our lives. It dictates our long and short-term plans. In the UK, the weather is the "default topic" of conversation for strangers and friends alike. Though it has obvious and far reaching importance, most people don't know very much about the weather. These days, they don't take time to observe it and probably spend more time looking at a screen than they do looking at the sky. They don't really know why the weather seems to be changing. They are told by mainstream sources that anthropogenic (human) activity is having a negative effect on the weather. This book collects together, for the first time anywhere, a range of diverse data which proves that the whole issue of “climate change” is more complicated and challenging than almost all researchers into all these topics are willing to consider, examine or entertain. 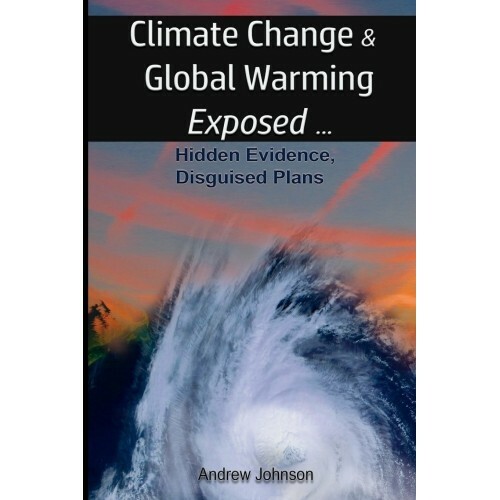 The book covers the global warming myth, geoengineering proposals, persistent jet trails, weather anomalies, weather modification, 9/11 and Agenda 21. Most of the people that need to read this book probably won't ever hear about it. It is hoped that, by the time you have read this book, your world-view will have been shattered completely and you will have learned about the manipulation that you and everyone else, has been subjected to, since talk of global warming and climate change was first heard in the late 1980s. Once you have read and inwardly digested the contents of this book, your immunity against global deception and psychological manipulation will be increased.